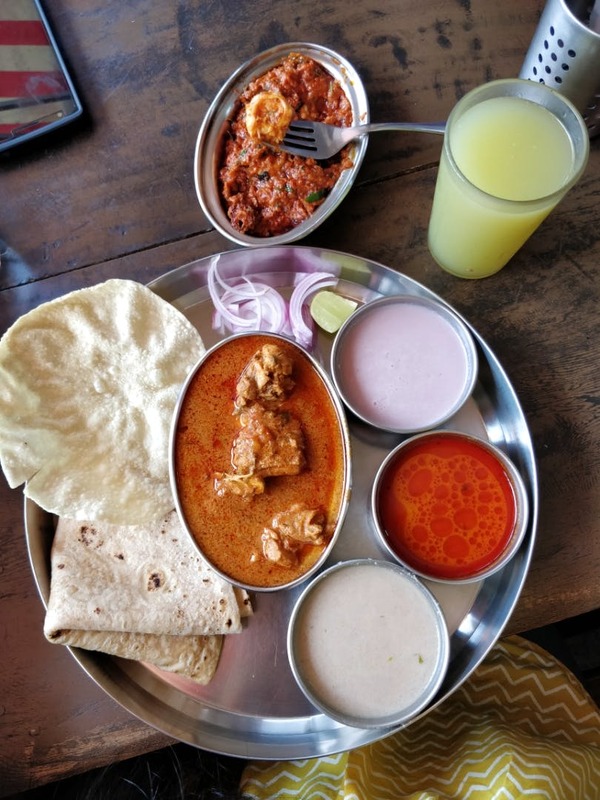 I had the wonderful opportunity to try the Malvani chicken thali yesterday at this little Maharashtrian place which can accommodate about 10 people at once. The thali consisted of Kolhapuri chicken masala, tambda rassa, pandhra rassa, solkadi, papad, three chapatis, and a cup of white rice. It was extremely filling and delicious. The others tried the mutton and fish thali which was equally tasty. A special mention to the dry prawn chutney in the fish thali. It was just amazing. Definitely the best INR 260 I've spent on a thali in the last two months. I highly recommend this eatery to everyone who'd like to try the authentic food of Maharashtra. PS - They have really good keema pav as well. The place is quite small and can accommodate a handful of people only.